In short, I didn’t fall in love with designers (as a WordPress developer) until I found they are actually my ideal and favorite clients. Here’s the story how I figured that out and hence created my first productized service – I Code Your Design. I started my web developer career from front-end coding. Back to then, I worked pretty closely with designers. In fact, in 2007 I freelanced with a designer that we shared the same working space. I liked his style a lot, and we worked on several projects together very well. The freelance partnership didn’t last long. The next year I got a full-time job in an SEO company, where I should work more on the backend engineering but I still needed to take care of all the front-end codes. In that small team, we have a full-time designer. I liked her style too and enjoyed working with her a lot. Time passed by and I went from employed to freelancing again. Most of my clients are small businesses, and they usually expect one-stop service from me. Since I have zero design skills, I started hire designers as subcontractors to work on projects with me. So you got the idea there were two typical work relationships between the designers and me: co-worked with them or hired them. During that period, things worked well in either case. I’m also pretty confident on how to communicate with designers to get the best results for clients. It’s just that, interestingly, I didn’t get hired by any designer for web projects in the past years of my freelancing career. Until last October. My first designer client was Marko Vuletič, the awesome guy behind Sketch Tricks. We met at the Slack of the Creative Class but hadn’t chatted before. He learned that I’m a WordPress developer from my profile and just dm me to see if I’m interested in rebuilding the WordPress theme for Sketch Tricks. By saying “rebuilding” the theme, I mean he did have a WordPress theme run on Sketch Tricks then, which based on his design. But because features so and so didn’t function well, he needed my help to fix it or just recreate one from scratch. Marko prepared very well that he’s already put everything he needed into a document. Based on his requirements it would be much easier for me just to build him a new theme. Instead of reusing the code from the former developer. The reason I wanted to build the theme from scratch, was the former developer just integrated too many plugins into his code. A very clear “there is a plugin for that” syndrome to me. A theme developed around several plugins. You think it’s pretty normal. Because every theme shop tells you to activate plugin A, B, and C when you activate their themes. To provide so much value while the customers pay so little, integrating with plugins to have certain functionalities, is a smart strategy that I would also do. But the theme developer you hired shouldn’t do so. Because you’re hiring her for developing your theme. Not assembling your theme with some plugins. I hope it’s a clear why for you. OK. Let’s get back to the love story between designers and me. After Marko approved my quote and sent the downpayment, I developed the theme in 7 days or so. He’s just so happy on his first test drive with the new WordPress dashboard. It’s amazingly uncluttered. The only plugin the new theme required was CMB2, which I used to add custom fields to posts and pages. I also added a Settings page with it so Marko can update some key information on the site by himself. With my approach, he then realized WordPress could be powerful itself without bloating with plugins. His excitement was so contagious that inspired me a lot. I think that’s officially the aha! moment for me to create I Code Your Design. I realized I only want to work with people who appreciate my approach to develop a theme. Designers happen to be sensitive enough to tell the differences, hence they are my ideal clients. Another thing I love my designer clients is that they are so genuine and authentic to express their feelings about my work. I guess it’s out of nature since most of the time, their works are all about “expression” in any sort of forms. Take Laura for example, she hired me to build her commercial WordPress plugin Client Portal last year. Despite the fact that I’ve had released five plugins on WordPress.org by then, I had no previous experience to develop commercial plugins for others. Laura has had a very solid idea on what Client Portal should do, which I liked a lot. During the whole process, she trusted me completely and took my advice seriously. Most importantly, she always remembers to let me know, how I outperform her expectation and she really appreciates that. Pro tips for anyone who’d like to bring out the best of the next developer you hired: express your (especially positive) feelings out loud! Lastly, I fall in love with designers mostly because I’m good at solving their ONE problem. Hope you don’t think it’s a weird reason. Maybe just imagine you love someone so much because you feel her love towards you that much. When designers hired me to work for them, I luckily figured out they have ONE problem perfectly for me to solve. The problem that they suffer a lot is to design WordPress websites around the theme builder or plugins. But what they really want is the other way around. 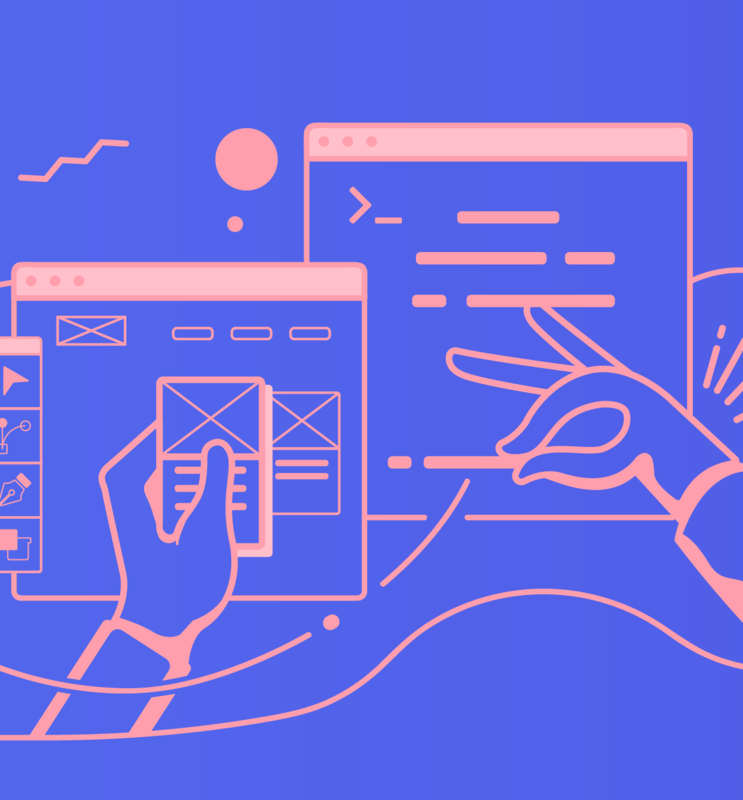 They want to work on the design they love, in Sketch, Photoshop or with their favorite front-end framework. While they do sometimes design their WordPress websites with page builder plugins, they rarely enjoy the workflow. So what I Code Your Design will do, is to free them from the hassles. With my service, they can now design their websites with favorite tools, and I’ll take care the left with my WordPress superpower. Do you have a design for me to code? Thanks for reading this not-so-romantic love story! I hope it didn’t bore you. My first productized service – I Code Your Design, has been launched for a couple of weeks now. As my previous post puts it, it’s a WordPress theming service that for designers only. I’m still trying to figure out how to best serve creatives in the web industry. If you can go check it out and let me know your thoughts, I’d be much appreciated!